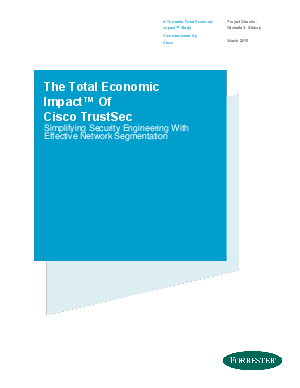 The Cisco TrustSec solution simplifies the provisioning and management of highly secure access to network services and applications. Unlike access control mechanisms that work on network topology, Cisco TrustSec policies use logical grouping. Highly secure access is consistently maintained even as resources are moved in mobile and virtualized networks.